Ryan Ulrich has managed to make it all the way to the Survivor: Heroes vs. Healers vs. Hustlers finale. 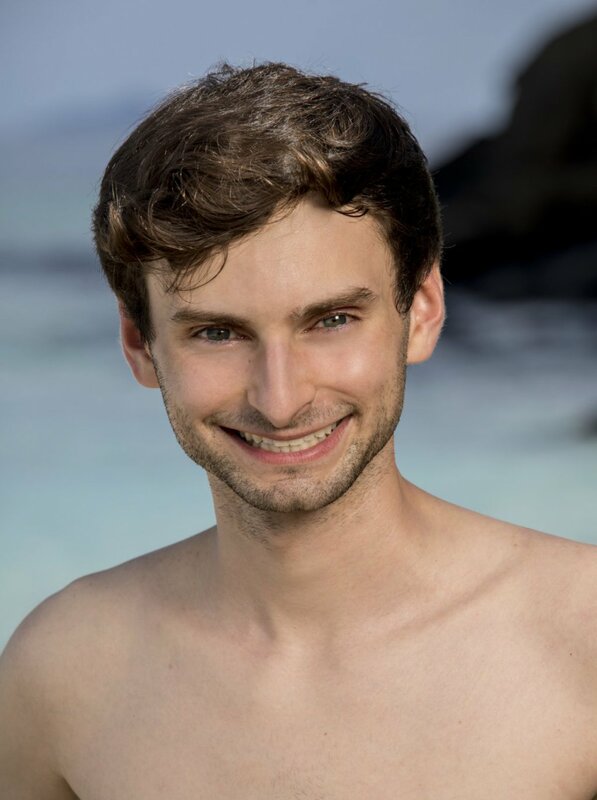 Ryan, a 23-year-old bellhop from North Arlington, NJ, will be competing in Survivor's Season 35 finale on Wednesday, December 20 at 8PM ET/PT on CBS, which will be followed by a one-hour live reunion special. Ryan began the game as a member of the Hustlers tribe. He used his strong social game to get ahead since he wasn't exactly the strongest contender in challenges. Ryan is sitting pretty in the game right now, as he has a very tight alliance with Chrissy Hofbeck. The pair also recently recruited Devon Pinto to join them -- a move which resulted in his best pal Ashley Nolan's ouster from the game. Ryan now has a Final 3 deal with Chrissy and Devon, but the game could change in a single moment, especially since Ben Driebergen is still in the mix and Mike Zahalsky is known to be completely unpredictable. Curious to learn more about Ryan? - Ryan's hobbies include watching sports, singing and listening to karaoke, and playing the harmonica. - When Ryan was younger, he had a speech impediment and couldn't say the letter "R." He therefore took speech pathology classes from kindergarten through eighth grade. Once his speech was corrected, he made it a goal for himself to become very well spoken, articulate and expressive. - He has worked a lot of jobs such as a waiter, insurance salesman with his father, and a little league umpire. - Ryan has a few pet peeves -- smoking, political correctness, and people who lack passion. - If Ryan could have brought three things with him to the island, he would have picked a sports visor to block the sun but also allow the top of his head to get an island breeze, a McDonald's Shamrock Shake because they are seasonal and he buys one at every opportunity, and a podium so he could give press conferences and pretend like people care about what he's saying. - Ryan is most proud of his internships with both houses of Congress, and the British Consulate. He also aspires to attend law school. - Ryan's inspiration in life is New York Giants quarterback Eli Manning because his toughness is admirable and he never missed a game in his entire NFL career. Ryan also appreciated Eli's humble demeanor and the fact he took responsibility for any team loss. Eli supplied Ryan with some of the best moments of his life, and he admires the football player's grace and humility in the face of criticism. - The former Survivor castaway whom Ryan says he's most like is Todd Herzog from Survivor: China because he had tremendous social skills and charisma. He was also well spoken, relatable and underestimated by others.